Hey! It is difficult to say few words about yourself. But let’s try. I am the founder owner of Shrivedant Foundation (www.shrivedant.com) in Kenya. The foundation aims to bring forth the pearls of wisdom from ancient indian scriptures. I am one of the fortunate ones who could manage to collect more than 45000 pages of various scriptures under one portal http://www.hinduscriptures.com. 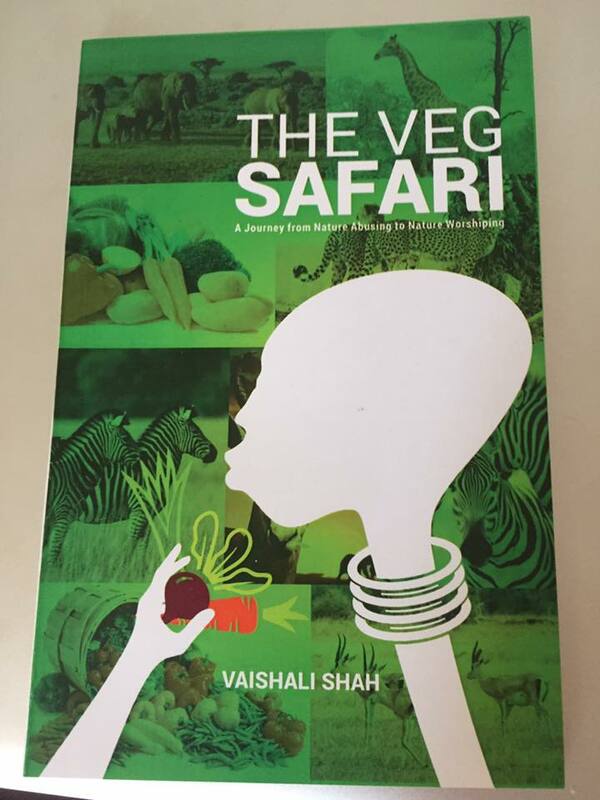 After building a Shiv Temple in Kenya with my husband, I moved on to fulfil my dream of promoting vegetarianism in Kenya, hence launched Kenya Vegetarian Club. www.kenyavegclub.com. I have set up a team of geeks, researchers and New media professionals who help me to publish my researched content for website, mobile, books, journals and magazines. I also aim to open a university solely dedicated to Indian scriptures. I do hold a couple of Diplomas and Degrees (Masters and Post-Graduate) in International Business, Management, Marketing, Internet Technology and Financial markets which I find to be useful only for the employments and to survive corporate jobs. I did lay my hands on various work profiles while working with the family in their businesses. After studying almost all the theories of management in the management school, I realized I want more. A typical nerd in the university campus, I started studying more about Indian scriptures during the weekends till the librarian would come and request me to leave the library so that he can go home. I started with Chanakya’s Arthashastra which I found in the college library. That lead to many more books, research papers, meetings with so called representatives of Hindu culture and religion etc. But my insatiable desire of knowledge didn’t end there. It is when I decided to fulfil the huge gap between the seeker of authentic knowledge and the scriptures in the world. This gave me an idea of combining my knowledge of technology, management, keen interest in research and present them as www.hinduscriptures.com. The site actually changed my life, lifestyle, thinking pattern, approach, ambition, endeavours, circle of people around me, friends, emotions and made me much stronger person what I am today. It didn’t end here, it has added few more virtues too and made me ambitious, focused, more responsible towards the society, empathetic and more sensitive. Eventually sharing the real knowledge of Indian scriptures is the aim of my life. I am ready to go to any length to fulfil this goal till the last breath of my life. This endeavour led me to compile the details about Indian lifestyle into the study material. We have recently launched courses called Hindu Culture and Lifestyle Studies on the website www.hinduculturestudies.com. It is also available in the form of self study books and one can teach into the classrooms too. We will make it available in various book stores online and offline very soon. My passion for saving the environment and nurturing nature is taking shape slowly through Kenya Vegetarian Club. I am able to reach out to farmers, women and youth to empower them in the field of agriculture and organic farming. I surely want to appeal to my readers to go for tree planting wherever possible, donate some seeds to poor farmers and ensure not to bargain with them while buying any such produce from them.